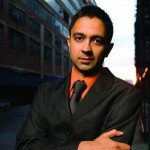 Grammy-nominated composer-pianist Vijay Iyer’s most recent honors include an unprecedented “quintuple crown” in the DownBeat International Critics Poll, the Doris Duke Performing Artist Award and the Greenfield Prize, all awarded in 2012. 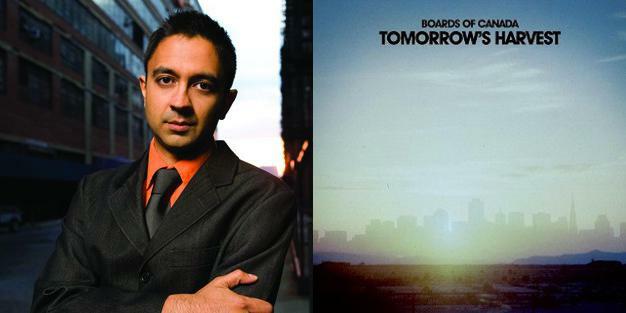 He was voted the 2010 Musician of the Year by the Jazz Journalists Association, and named one of the “50 Most Influential Global Indians” by GQ India. Iyer has released sixteen albums as a leader. You can follow him on Twitter here. I remember that musicians were saying at the time that they “admire the production” on these early albums. Now that we’re past that point of making excuses for what’s in our iTunes folders, I think in retrospect what was specifically interesting about Boards of Canada was their uncanny synthesis of human-ish sounds and synthetic-ish sounds. At times their early work doth protest too much: from theRight to Children album cover of a vintage photo of children and adults with their faces erased, to the sampled children’s speech reduced to senselessness — OK, we get it — it’s a gibberish thing. I suppose that’s been a governing narrative of electronic music for some time now, a Matrix-like unholy alliance of flesh and circuitry, the gothic Frankensteining together of glitch and gesture into a post-human whole. But this older BoC stuff is, additionally, kind of adorable, in the way that sophomores in college are from the vantage of a 25-year-old. They carry on as if they’ve figured out the world, and you even encourage them — yes, dear, Howard Roark really had a point there — but you secretly know they still have so much to learn, and at any rate they’re cute, so you keep them around. What else is to be said of these tracks (songs is not really the right word), except that they are easy and engaging to live with, like amiable, clever roommates who clean up after themselves. If the way to listen to what was once called “intelligent” dance music is to imagine ourselves moving to it, I found my imagined self going shopping. Early BoC is carefully, cleanly distressed; each album is like a whole floor of Urban Outfitters. Anyway, when I finally received and threw on Tomorrow’s Harvest, I heard something else: a sound so aggressively retro, it’s reaching well past quaint into something keenly perverse. It hits a little harder — not quite as smooth or eager to please. It’s a little more warped and seems more insistently from an imagined bygone era, like an early Michael Mann flick on VHS, or a BBC version of Logan’s Run. The album’s opening seconds are an either real or imagined television channel logo from the ’70s, a bright corporate future emblemized in a miniature analog-brass fanfare. The new music’s pacing seems ever more aware of the listener: the builds are slower, the payoffs longer and more dramatic. That synthesis of human and machine is less the point now; we’re well past that; it’s still present but less fetishized, more integrated into the overall arsenal. Sampled speech becomes a skittering texture buried in the mix, not a shrunken trophy head hung around its neck. The rhythms are more confrontational, more infinite, less yielding. Some songs are not so much boring as they are frighteningly empty, like an abusively hollowed-out, haunting dub version of a Depeche Mode song. Moments like this are intriguingly conceptual, and push the record towards something like art. Still, I found myself zoning out a bit. Each track has a nice shape, but too often that’s its chief asset. The tracks are dressed up in a lot of ponderous synth pads, synth melodies, synth arpeggios, synth ostinati, synth wind. A lot of chord progressions that oscillate slowly from a minor tonic to the major seven chord built on its sixth, a progression that admittedly sounds pretty compelling the first few thousand times, but how about something else today? A lot of detuned drones cycling, left forgotten in the sky. A lot of somber-lite stuff that brings to mind the soundtrack of a low-budget European thriller — not the chase sequences, but the exposition, where the protagonist is poring over microfiche or moving to a new city. So what is this music that I seem so profoundly not able to feel? It’s not that I don’t want to; it’s just that it seems drained of sense, or of eros. The playful nihilism of the early years, that winning formula that made BoC the electronica equivalent of Johnny Depp, so endearingly blank that everyone liked them, has seemingly given way to some grim self-seriousness and dreary melodrama. Maybe they could hire a sassy young intern to click and drag files around for them, update their Facebook page, keep the work atmosphere a little more fun and alive? Or maybe they could just break the formula a little and actually sing a song, strum some guitar, make an actual chase sequence, hire some blazing virtuoso drummer to light a fire under them, or something. I’m just thinking out loud here.